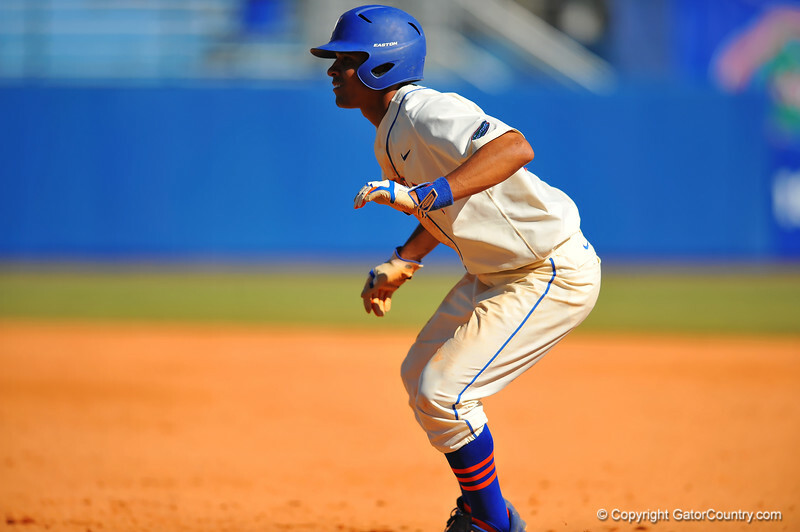 Florida SS Richie Martin leads off of first base. Florida Gators vs Illinois Fighting Illini. March 2nd, 2014. Gator Country photo by David Bowie.